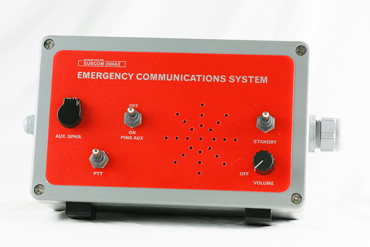 The Subcom 2000 Emergency Communications System is designed primarily for back-up to the umbilical wired comms generally used in diving bells. 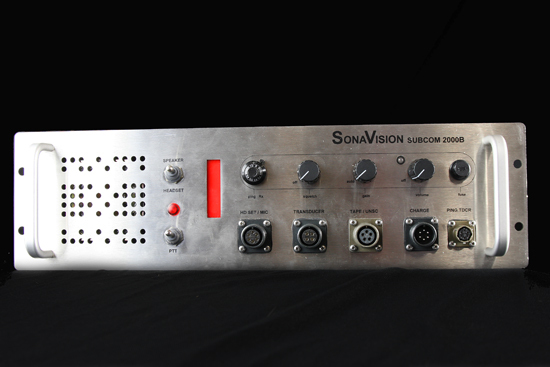 The Subcom 2000 would be used in the event of failure of the wired system. 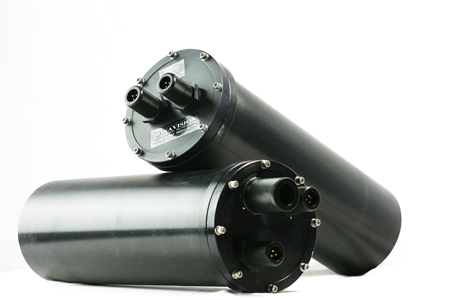 The system provides through-water communication which does not rely on the integrity of the bell's umbilical but operates acoustically through the water column between two transducers. With its own battery pack, it will operate for a minimum of 20 hours under normal conditions. Subcom 2000 incorporates an extremely reliable single side-band, suppressed carrier system. It operates at 27KHz with 4.2KHz bandwidth. All of the bell unit electronics are housed in external pressure housings to eliminate helium ingression and high humidity problems. Bell Internal unit has a plastic coned loudspeaker/mic mounted in a flame retardant, hose proof, field replaceable unit. Bell Electronics and rechargeable batteries are in external housings eliminating helium ingression and humidity problems. They are hard anodized and depth rated to 1000 psi. 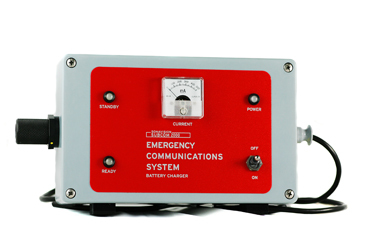 Surface Unit is powered from internal rechargeable batteries with internal battery charger. Can be used with existing helium speech de- scramblers. Optional strobe light warns divers of bell umbilical failure. 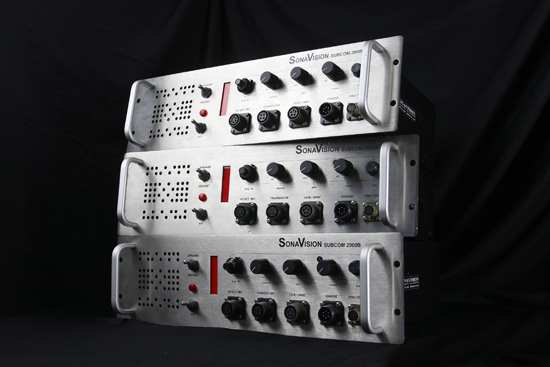 Optional 19" rack mounting with either front or rear mounted connectors. And just about every diving company in the world!